...but to do this, they needed a way of communicating with those groups effectively, from promoting training resources, handling applications for new volunteers and assisting fundraising efforts. Their old website just wasn’t cutting it, so Development Manager Martin Starkey got in touch with My Website Solutions. The brief we gave Damien was basically to come into our office, look at our website and tell us what we should be doing with it. Once he got over just how shabby our website was, he pointed out that we should be taking the vast amount of precious content we had (because it was good content) and make it easier to find. With the existing site, you needed a compass, map and night vision goggles to find anything, so it was really difficult to manage, and we needed to move away from that. It needed to be concise, intuitive and easy on the eye. To be clear, when he says it’s a ‘vast’ amount of content, what he means is over 100 pages of carefully crafted, targeted content that simply wasn’t being found due to the inefficient nature of the website. Obviously, this had to change. My Website Solutions worked closely with Martin to work out exactly what information needed to be where, and spent some time analysing how exactly users were interacting with the information already available. From there Damien designed a simple and elegant website, with an intuitive and attractive menu system that made finding information quick and easy. The site reflects Involve Community’s brand values and presents a great hub of information for all of their clients. This has resulted in a huge upswing of visits and inquiries. As tends to happen with website re-designs, there were a few snags along the way. Damien of My Website Solutions spent a lot of time working out kinks with the variety of bespoke forms that needed to be built into the sites functionality. But that’s not all. Once the website had been deployed for testing, an unforeseen issue cropped up. 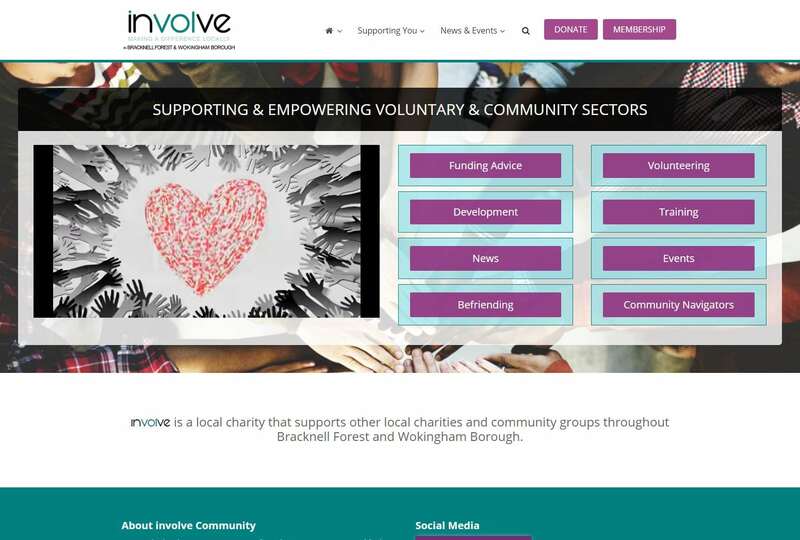 After months of hard work, Involve Community could launch their brand-new hub website, full of fantastic information that was clear, straightforward and easy to find. Martin is very happy with the result of the project and has already received some amazing feedback on the new website, which is seeing higher usage than ever. Well, you’ve heard it from the horse’s mouth! For help, guidance or advice on building your new website, just get in touch with Damien at My Website Solutions today.